The album takes influence from Japanese lovers rock, 80s electro-bossanova and dubby-lounge pop, which Becky discovered during holidays in Japan and London where she was a participant at the Red Bull Music Academy. Playing records as DJ Susan is a new outlet for Becky, allowing her to share the references and context that informs her distinct approach to music making. With over tens years experience performing in various lineups, Becky has found a special synergy in her current live band Sui et Sui, comprising former fellow NSW residents, Alec Marshall (Hot Palms, Why Don’t You Believe Me Records) and Ashley Bundang (Totally Mild, Zone Out). The trio captivated audiences at festivals including Outside In, White Night and they performed at the Sydney Opera House for Vivid. Becky also provides vocals and percussion to Melbourne’s well-loved ‘heat beat’ band, NO ZU. In the release of Secretly Susan we are immersed in the larger narratives that surround Becky’s work. From the banal pastel dystopia of her "Infinity Street" video to the invention of Susan, an alter ego who manifests in the single "Take It All Back" – these colourful, surreal and staged landscapes allow Becky’s take on pop music to sit within its own uncanny terrain. "Dear Teri," the final single to be released from Secretly Susan before its full length release, premiered at My Old Kentucky Blog: "[Dear Teri] is an effervescent turn from previous material, showcasing her versatility as an artist with jazzy flairs of guitar weaving underneath enchanting, lounge-styled vocals." Secretly Susan is out today, August 28th, via Dot Dash / Remote Control Records, and is streaming in full exclusively at Noisey. 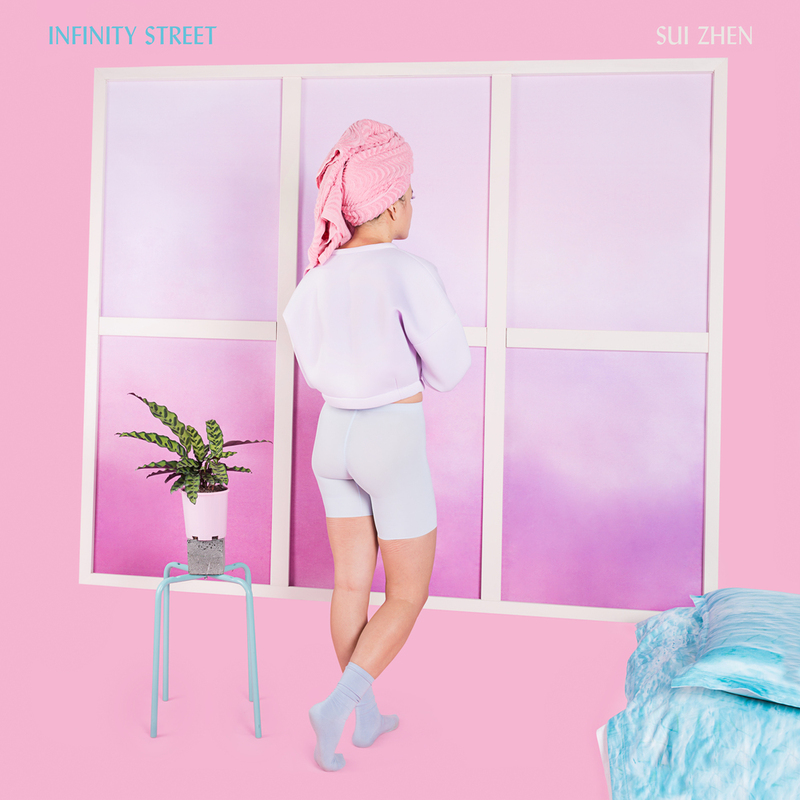 "Sui Zhen was placed on the planet to make our lives better." without losing the smooth minimalism and cool lounge-pop sound her music is know for." "What feels certain is that Susan won’t remain a secret for much longer." "Irresistible... A dreamy, electro-pop track featuring Zhen's Grimes-esque ethereal vocals." "While her eerie dub pop is fantastical and laid-back, she is a brilliantly high-concept pop star... She was the best of a ream of strong electronic acts at Bigsound." "Secretly Susan is an arresting display of odd pop and dub influences with early morning dance floor feels and a soundtrack for driving home the next morning. The sound is hypnotic and aurally forgiving for a tired mind… Ingenious and painstaking."